Peter Handscomb admits he may need to look for a short-term English county deal to put himself in the frame for a place in Australia's Ashes squad. 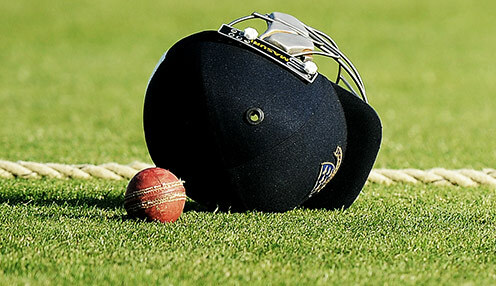 The Victorian has played in 16 Tests but was axed from the squad after a lack of runs in the home series against India. Since then he's returned to form in white-ball cricket but that success may not do much for his chances of playing in the Ashes. Handscomb scored two half centuries in the space of three innings during the ODI series against India. That means he'll probably be called up for the ODI tours of India and the UAE, so his chances of playing red-ball cricket in the second half of the Sheffield Shield season will disappear. It leaves him considering signing a short-term deal where he can make the kind of runs that would earn him an Ashes trip. Handscomb had a superb start to his Test career - he was the first person in history not to have been dismissed below 50 in any of his first seven innings. He would love to play in the Ashes but admits the fixture scheduling this year won't be helpful to him in that regard. Five other Australians have already inked county deals for this year - Glenn Maxwell, Shaun Marsh, Cameron Bancroft, Joe Burns and Aaron Finch. If Handscomb can follow suit it would likely allow him at least one first-class match and several white-ball fixtures before Australia's World Cup squad assembles in early May and then the Ashes begins in August. "If something comes up, I think it would be a good chance to get some first-class cricket," he said. "I think anyone that makes runs in any format is really putting their best foot forward, putting their hand up to get a Test spot. "The Ashes is still a long way away and there's still a lot of cricket to be played before then. Form can change and players can come in and out." Australia are 7/4 to win the Ashes series, with England 4/5 and the draw 5/1. Meanwhile, Australia are 1/7 to win the second Test against Sri Lanka, who are 14/1 with the draw 9/1.